“It’s okay.” He muttered but it wasn’t, he had a meeting in an hour and it wasn’t just any meeting. It was a meeting at the villa, with Mr. President, to give an update on how far his people were on the security project. He couldn’t back out of it now that would be utterly disrespectful. After today, he’d let Jared, who was the director of the regional office, handle all important meetings. He would be back in the states soon anyway, now that he’d finally found her, he wouldn’t be here for much longer. “So what exactly do you do here?” he asked curious. The secretary looked up from the desktop computer she’d been working on, she was a young lady, probably mid twenties but there was an all knowingness in her eyes, or was it an effect caused by the nerdy glasses she wore? “This is a centre for people who are visually impaired; we teach people to cope with their loss of vision.” She replied. He nodded still trying to understand what Ezinne could be doing here as a teacher, she’d never struck him as the humanitarian type before. She wasn’t a bad person but Mofe couldn’t see her as a normal teacher, much less one in a school for the blind. “and….. Ezinne is a teacher here?” He had to ask. “Okay, and you’re a ….” Her eyes regarded him, in a quite disbelieving manner, as if suspicious of him, as he seemed so interested in her boss with all his questioning. 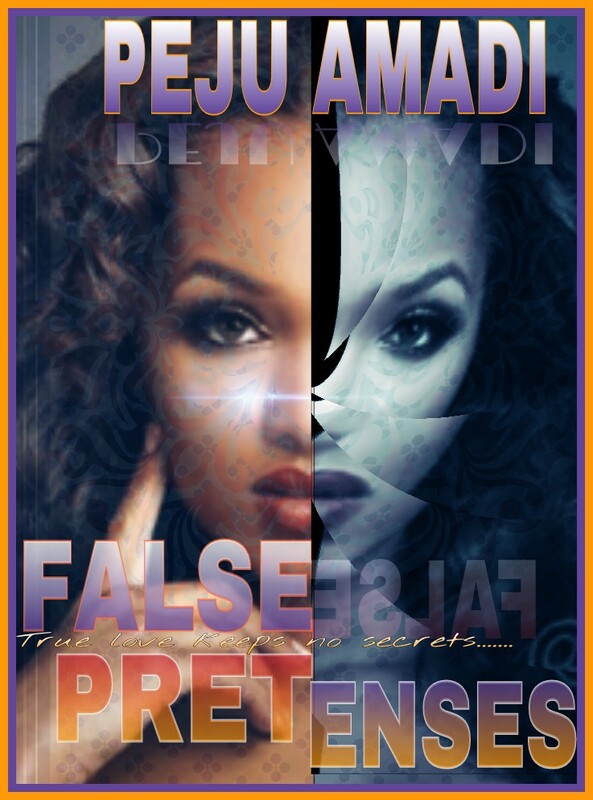 Mofe cleared his throat, his fake profile hadn’t gone this far, he had to come up with a lie quickly “I’m a writer,” he said as believably as he could. ‘Whoa!’ was the first word that dropped into Mofe’s mind. Mofe’s stared, quite at a loss for a reply, this lie had gone somewhat too far “I…umm….I…,” His phone chose the moment to buzz, “excuse me,” He told her thanking God for the diversion, even if it was just a text message from Jared asking where the hell he was. Replying it,he told him he was running late but he would surely be there before the meeting began. He looked up at the receptionist who was now looking at the entrance to the office, He followed her gaze and it fell on her. It was Ezinne walking briskly toward the office, assisted by a walking cane. She looked like she hadn’t aged a day in all the ten years they had been apart, tall and still very light skinned, her long hair falling to her shoulders and her curves hidden by the caftan she wore her lovely light brown eyes hidden behind dark lensed glasses but there was something to her walk. He couldn’t place it at first, maybe because he didn’t want to believe it but as he stared at her come in, the way she swept the cane in small left to right motions, as if checking to see if there were any obstacles in her path. He cringed slightly and a shiver went through him. He didn’t need to be a brain surgeon to piece it together, it made sense now why she was here, she had lost her sight. The shock of the realization left him stunned for a while and he could only stare at her speechless. When and how had it happened, was what he needed to know. Ezinne’s brows shot up “Really?” She turned to him, and he wondered how she could tell where he was seated, she must have honed in other perceptive abilities when she’d lost her sight. “Hello Mr. Moji, welcome to our centre,” She extended a hand to him. He got up from the seat, accepting her hand, which was warm and suddenly he felt that familiar tinge of so long ago. It travelled from his fingers touching hers, and made it’s way through to his entire body. She felt it too, he could tell because she caught her breath and even though he couldn’t see her eyes, he saw her brows raise and then crease. He was quite surprised himself, he’d thought all feelings for her had been dead and buried, so why that familiar tingling, almost electric feeling just after touching her hand? If he spoke now, he suspected she might know who he really was but he had to say something, it was odd enough that they were standing, staring at each other this way. “You said your name is…. Mr. Mo…fe?” she asked lightly, barely above a whisper, her stance rigid and still staring up at him through those dark lens. He didn’t need a genius to know she suspected he wasn’t who he said he was. “Moji Stevens,” the receptionist supplied before Mofe could speak up, stunned for a second as he felt like he’d been caught in his own web of lies. “It’s Moji, madam.” He asserted but she still wasn’t sure, he could see. He had to leave, the whole thing had blown out of proportion. He’d meant to surprise her but hadn’t considered that she’d gone through some tragic incidence of her own. How could he gloat in her face now? It would be heartless, he would leave and never return. She had suffered enough as it was and he felt like such a jerk. Thinking of himself all the time, assuming she was still having it good, failing to consider life may have switched sides on her. “You have to leave?” the secretary said not bothering to mask the disappointment in her voice and features. Zinny still stood there, staring, he would hurriedly have given away a million dollars if someone could tell him what was going through her mind. “Alright Mrs. Ezinne, I’ll be seeing you tomorrow?” he asked hoping to get a response to make sure she was alright because she had been staring and saying nothing for almost an eternity now. They all turned turned to acknowledge the presence of a girl, he was sure she wasn’t more than nine or ten years. She was in school uniform so he guessed she’d just returned from school. Dark skinned, her hair was made in corn rows, an oval face with almond shaped eyes which were very familiar to him. It was Mofe’s turn to stiffen up in shock to learn that Zinny had a daughter, what the hell? This new found knowledge on top of everything else he’d just found out, was just too much for him to take in, he had to leave that place, right that minute. He didn’t wait for a reply, high tailing it out of there but not before seeing how possessively Zinny had held her daughter to herself. He should never have gone there without doing a thorough research on her but he’d been so eager to when he had finally found her contact address. He’d come grossly unprepared and now he had more questions than answers, the most pressing of which was, could he be the father to Ezinne’s daughter?